The mid-’80s were a great time to be alive. My love for heavy metal music started around 1986 when I was 14 years old. By that time, some of the great bands such as AC/DC, Iron Maiden, KISS and Van Halen were already well established, and a new generation of bands was emerging just in time to satisfy my adolescent urges and frustrations. Adding to my new musical desire, MTV Australia commenced broadcasting in early 1987 and bands such as Bon Jovi, Cinderella, Mötley Crüe and Poison were getting plenty of air time. As much as I liked those bands, and with my friends choosing Mötley Crüe as their favorite, I gravitated towards another band. A band with a sense of danger. 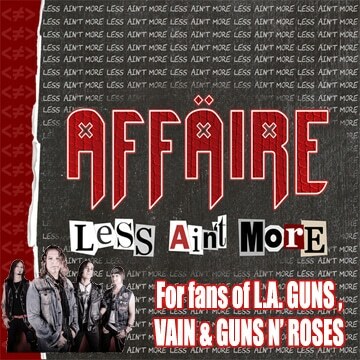 A band where the guys weren’t prettied up to suit the female masses. A band that was raw and obscene. That band was W.A.S.P.. As soon as I had heard “Blind In Texas” and “Wild Child”, I was hooked. Then when I got the debut album and heard the anthems “I Wanna Be Somebody” and “L.O.V.E. Machine”, I became a devoted fan. Needless to say, I don’t have to explain my thoughts of when I eventually heard “Animal (F**k Like A Beast)”, but I will say that I spent many evenings alone in my room with the cassette recorders volume down low so my parents couldn’t hear. You could say that from their debut album, W.A.S.P. were always evolving and maturing as a band. Aside from the period from the debut album to 1985’s The Last Command, everything that has come after has progressively got more mature, more political and more religious. 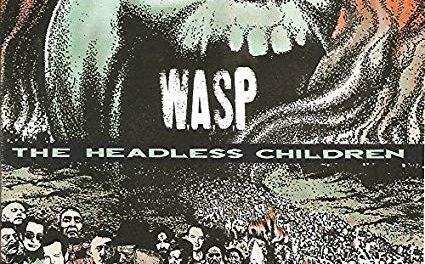 Prior to the release of 1989’s The Headless Children, the album title was leaked to the public and fans went into a frenzy. Knowing how visual W.A.S.P. live shows were, people began speculating, based on the album title, what the shows would include in the form of psychodrama. 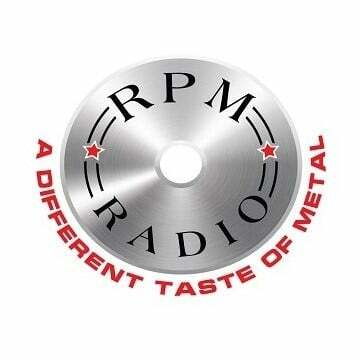 With the whole PMRC situation over, but always a shadow in the background, W.A.S.P. chose a clever album title to get the masses talking and presuming that the band would be chopping off babies heads at their shows. Not real babies of course, but more in tune to what Alice Cooper did with dolls during shows where he would play “Dead Babies.” As we would soon find out, The Headless Children was not about that at all, and it serves as the band’s first foray into lyrics about serious issues such as politics and war. Songs such as “The Heretic (The Lost Child)” and the title track ooze maturity, and the inclusion of operatic choir vocals provides a great atmosphere. The guitar work is fantastic as are the guitar melodies, and if you don’t think that the chorus riff of “The Headless Children” is groovy as hell, then there is definitely something wrong with you. “Thunderhead” and “The Neutron Bomber” retain a bit of that old W.A.S.P. musical charm from the earlier albums whilst the lyrics deal with topic matter such as drugs and warmongering. Not all the lyrics are serious though and “The Real Me”, a cover song originally performed by The Who, adds a touch of fun. For this reason, it was released as the first single due to it being the most commercially accessible song on the album. 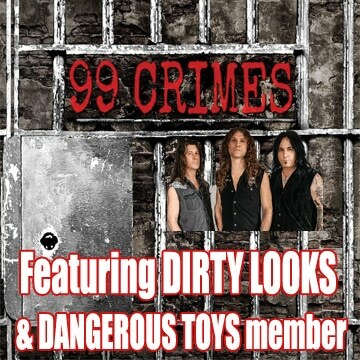 Not since “Sleeping (In The Fire)” from the debut album had W.A.S.P. ventured into ballad territory but they did that on The Headless Children with the track “Forever Free”, which is preceded by a complimentary acoustic instrumental titled “Mephisto Waltz.” It is a change of pace for W.A.S.P. and a definite departure from what fans would normally come to expect from the band. 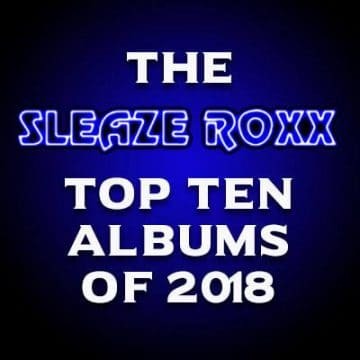 But the experiment works quite well and Blackie Lawless’ vocals shine on the ballad, proving that there is more substance to the man than just lyrics about defiling women and taking massive amounts of drugs and alcohol. Rest assured though, old habits don’t die that easily and the tracks “Maneater” and “Rebel In The F.D.G” venture into lyrics about motorbikes and decadent lifestyles. For the uninitiated, F.D.G. stands for “F**king Decadent Generation.” And let’s not forget my personal favorite track on the album — “Mean Man” — which is just a straight up heavy rocker with lyrics Blackie based around his partner in crime, guitarist Chris Holmes. Unfortunately, that partnership would end after this album though it was briefly rekindled in 1997. The Headless Children feels like it was a prolific period where the song writing was top notch and the band was excited trying something new. The album was so good that I had to track down all the b-side’s that didn’t make the final cut. Even those songs were superb and I would often imagine that if “Locomotive Breath”, “For Whom The Bell Tolls”, “Lake Of Fools” and “War Cry” had made the album, it would have been a masterpiece. The 1998 remaster almost brings that to fruition. 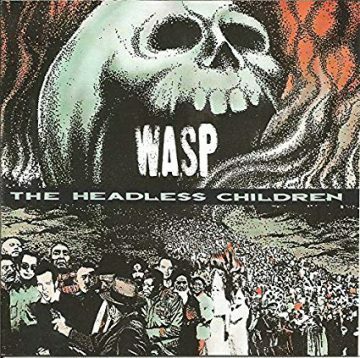 Overall, The Headless Children is a fantastic album and one of my favorites by W.A.S.P.. It didn’t fully transition the band into a political machine but rather retained enough elements from the band’s previous albums to ensure that fans still stuck around. Blackie Lawless was very open in his reasons for venturing outside what was generally expected of W.A.S.P. by proclaiming that he had been given a gift in being able to reach so many people with his music, that it was time he started saying something serious to do his bit to help change the world. And the messages of songs like “The Heretic (The Lost Child)” and “The Headless Children” are still relevant today 30 years later because humanity (the headless children) are yet to heed the warnings. www.wasppictures.webs.com The song is produced by (The Who) But preformed by (WASP). From The headless children. Uploaded by Andrian Svitlik on 2014-07-13.